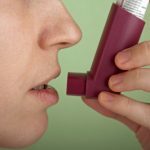 Conventional drugs only offer temporary relief by managing the symptoms of bronchial asthma without curing the condition. However, different natural methods provide better results and have relatively few side effects. Here are some helpful alternatives. Taken in tea form, bromelain helps to liquefy bronchial secretions, which encourages their elimination from the system. It is also good at preventing the progression of sinusitis and bronchitis. The recommended dosage is between 250 and 500 mg taken between meals two to three times a day. Both Siberian and American ginseng reduce inflammation associated with asthma bronchitis and clear bronchial passages. However, people suffering from high blood pressure or different heart conditions should avoid American ginseng. Coltsfoot helps to relieve acute congestion and hoarseness. Prepare tea in a cup of water. Take three times a day. Do not use the treatment for more than one week. This herb is useful in stopping wheezing by breaking up bronchial congestion. You can use 500 to 1000 mg capsules three times a day for a maximum of two weeks. Eucalyptus oil may be used either in the form of a rub or steam inhaler. It is difficult to find it in form of tablet or capsule in the U.S. Asthma patients tend to be allergic to essential oils, which should not be ingested because their high concentrations make even small quantities poisonous. However, eucalyptus oil is an exception. Honey is rich in ethereal oils and higher alcohols that emit a soothing vapor. Holding a honey jug under the nose and inhaling the vapors is quite beneficial in relieving attacks. Taking honey with either water or milk also brings relief and the soothing effect may last for about an hour. Honey thins out mucous accumulated in the respiratory tracks, which makes it easy to expel them. It also prevents the production of more mucous by toning up pulmonary parenchyma. According to some experts, it is better to use a year old honey. Boiling garlic cloves in 30 grams of milk and taking the mixture daily helps to treat asthma in its early stages. It is also helpful to mince the garlic cloves and prepare steaming tea taken in the mornings and evenings. Taking a glass of milk mixed with one teaspoonful of turmeric three times a day is another good remedy for bronchial asthma. The treatment is more effective when taken before eating anything. This natural antibiotic destroys viruses, fungi and bacteria and speeds up the healing process. Use on alternate weeks according to directions on the label. Massaging the chest and back with mustard oil and a little camphor helps to ease breathing during an attack because the mixture loosens phlegm. Boiling water with caraway seeds and inhaling the steam dilates the bronchial passage. An enema helps in cleaning the colon and preventing auto-intoxication. Applying wet packs to the chest strengthens the lungs and relieves their congestion. Stimulating perspiration through the use of steam bath, hot hip bath, hot foot bath or sun bath also helps to relieve lung congestion. The natural methods of treating asthma bronchitis generally involve eliminating morbid matter by adjusting diet patterns and stimulating functioning of the excretory organs. The patients should also avoid known triggers like dust, acid-forming foods, tensions and mental worries.